How Is Contract Manufacturing Bringing Profitability to Industrialists? For growing your business and increasing profits, contract manufacturing is vital. By securing a manufacturing agreement with a reputable source, you can better manage your costs and boost your company’s profitability. Especially when facing fierce competition, it is essential that you make the right business decisions. What Are Contract Manufacturing Services? For this type of service, a manufacturing or fabrication company handles the production of components and full products on your behalf. In this case, the goods fall under the brand or label of a different company. Unfortunately, many people wait to hand off their newly developed product to a contract manufacturer after completing the development phase. When securing a manufacturing agreement, it is imperative that it outlines its involvement with every aspect of the development process. Otherwise, you would pass on a developed product without proper communication or cost containment. Instead, the company you hire for contract management services should start its involvement in the product development process as early as possible. That ensures the fast and cost-effective manufacturing of your product. Having the manufacturer involved early is especially critical because it guarantees customized production in line with specific resources and constraints of that company. Selecting a contract manufacturer nearby as opposed to the other side of the world is also essential. As a result, your internal design team and R&D staff can meet with the company’s resources in person. That offers an advantage in tailoring the product design to that facility. Working with a firm close by also reduces travel expenses, eliminates any cultural or language barriers, and prevents you from going through a lot of government red tape. 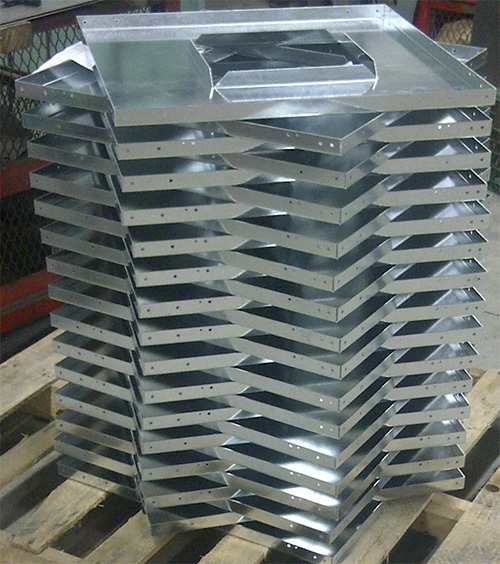 At Weldflow Metal Products, we offer a broad range of services, including contract manufacturing services. To boost both the growth and profits of your company, contact us today for professional assistance. We would love the opportunity to help your business succeed.